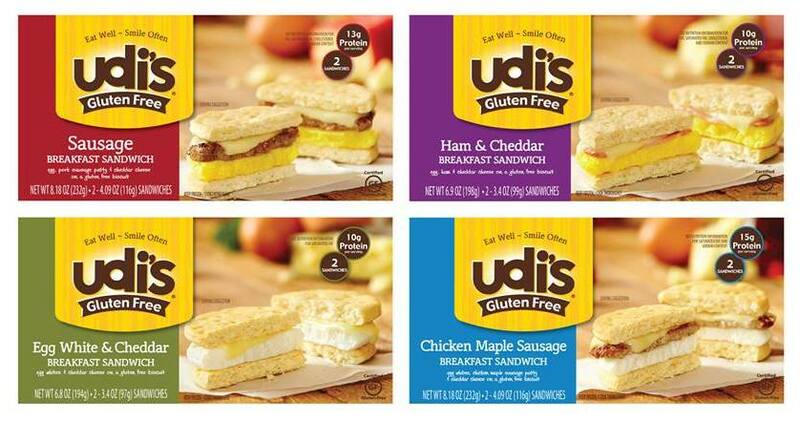 Four Udi's Gluten Free breakfast sandwich varieties will soon be found in supermarket freezers: Egg White & Cheddar, Chicken Maple Sausage, Ham & Cheddar, and Sausage are each served on a gluten-free biscuit. Each package contains two sandwiches. The products will be sold at Target and other retailers. Also new are gluten-free pretzels from popular salty snack purveyor Utz. The pretzels, which come in three styles - Rings, Sticks and Minis - are also free of dairy, milk, lactose, casein and egg. Utz is offering free shipping on the new pretzels through Aug. 31 with promo code GLUTENFREE. Utz is in the process of obtaining gluten-free certification. 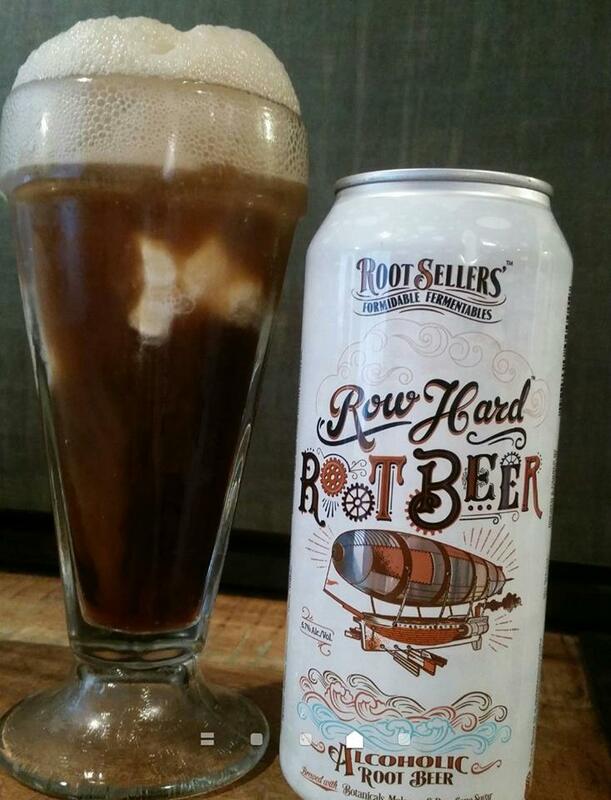 Hard root beer is having a moment. As I wrote in Tuesday's post, several popular brands, like Not Your Father's Root Beer, are not gluten free, though one Midwest brewer - Root Sellers - will be expanding distribution of its gluten-free Row Hard Root Beer in the coming months. Grub Burger Bar opened last week in North Wales (254 Montgomery Mall, 215-583-1242). Burgers can be served on Udi's buns and the sweet potato fries are cooked separately. 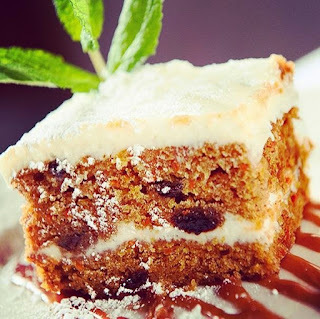 Longtime reader Shari S. reported on an excellent gluten-free meal at French bistro A La Maison in Ardmore (53 W. Lancaster Ave., 484-412-8009). Most items on the menu do not contain gluten and others can be modified. The hottest beer style on the market right now isn't even what we traditionally think of as beer. Alcoholic, or hard, root beer has soared in popularity of late, even as some critics dismiss this latest "alcopop" flavor. The trendiest label among hard root beer makers right now is Small Town Brewery's Not Your Father's Root Beer. However, it's made with barley malt and is not gluten free. The same goes for Coney Island Hard Root Beer, produced by Boston Beer Co., the maker of Angry Orchard Hard Cider (which is gluten free). However, Root Sellers brews its Row Hard Root Beer (6.7% ABV) without grains so that it's gluten free. Row Hard is made with pure cane sugar, molasses, spices and botanicals, and has "notes of vanilla, molasses, sassafras and wintergreen with a sweet finish," according to the brewer's tasting notes. Row Hard's distribution is widening, but for now is limited to Midwestern U.S. states like Missouri, Illinois, Iowa, Indiana, South Dakota and Kansas. New York City's T-swirl crepe mini-chain opened a Philadelphia location in Chinatown (150 N. 10th St., 215-238-0111) this week. 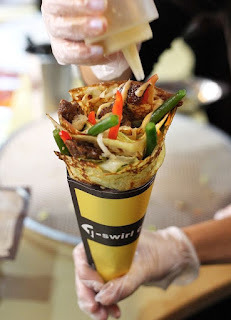 All crepes are made with a rice flour batter and are prepared with a choice of sweet or savory fillings. Many, but not all, of the filling options are gluten free. For example, avoid the custard creams, granola, chicken teriyaki, crunchy shallots, Pocky sticks, Okinawa hot dogs and sesame dressing. Be sure to ask the store manager for a complete list of acceptable add-ins. Gluten-free mac-and-cheese is available at the new grandpa (MAC) in Rehoboth Beach (33 Baltimore Ave., 302-727-5509). Rigatoni and elbow macaroni - prepared separately - are the pasta options, and there are a variety of sauces, cheeses, protein and other add-ins available. There are some restaurant chains, like Legal Sea Foods, that "get" the gluten-free diet. I have no hesitation adding Not Your Average Joe's to that list. The casual, New England-centric Joe's opened two Philadelphia-area outposts within the last year: the first in Glen Mills, and more recently in Ardmore. We had an opportunity to visit the Glen Mills location recently after our younger son finished a weekend baseball tournament nearby. I passed on dessert, but only because I had exceed my daily carb intake. Next time - and I will be back - I'm saving room for a slice of carrot cake. Joe's service for gluten-free guests is seamless and confident - a welcome respite from those frequently awkward conversations with servers, managers and chefs. I hope that the chain plans to expand in the region so that more diners can enjoy dining at this exceptional restaurant.